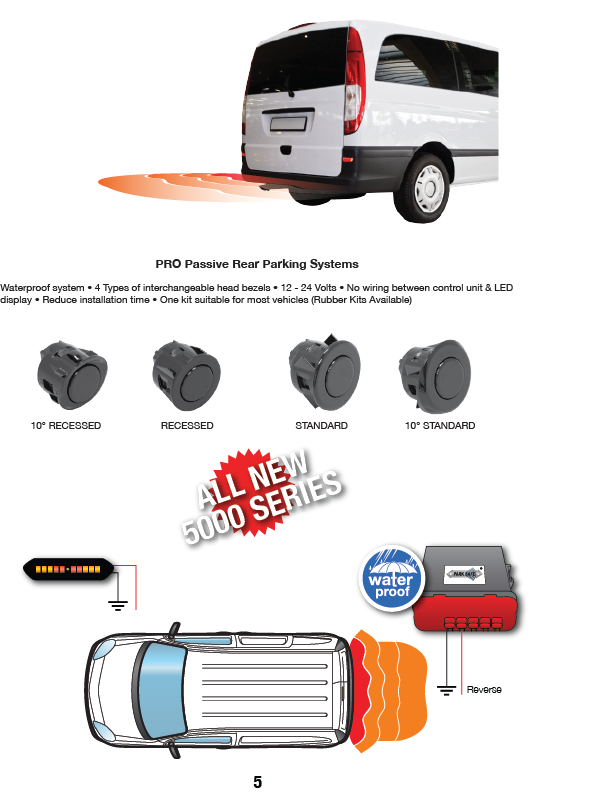 For vehicles fitted with a tow bar, “PARKSAFE” control modules feature an adjustable extended zone which allows the system to ‘see’ past the obstruction by pushing the start of the first zone out by 30cm. Refer Diagrams below. Insist on the BEST…Ask for “PARKSAFE”. 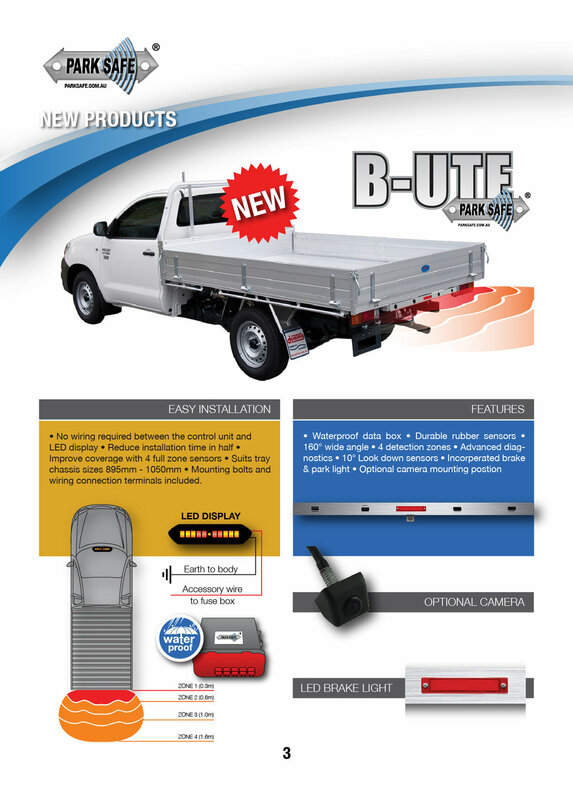 Australia’s original best reversing sensors. How does the “PARKSAFE” sensor system work? The “PARKSAFE” Parking Sensor is a accurate ultrasonic device which monitors the distance from your vehicle to potential obstacles in your blind spot. This distance is indicated by a sequence of beeps through a Piezo beeper (in some cases also by an optional digital display). The closer the obstacle the faster the sequence of beeps, until a continuous tone is emitted indicating that your vehicle is now within 30cm of an obstacle. 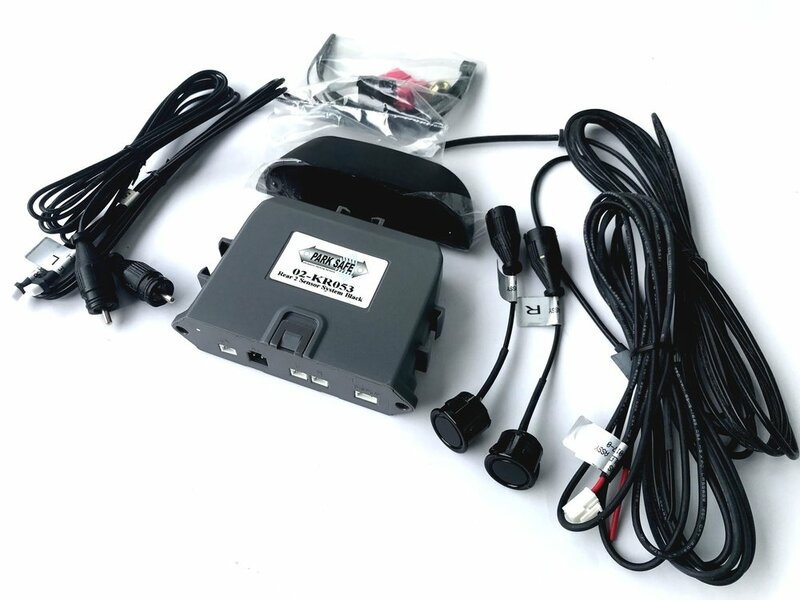 The “PARKSAFE” Ultrasonic Reverse Parking Sensor System electronically scans the area behind your vehicle during reversing procedures and acoustically alarms you to other vehicles or objects within close proximity.